Ryan Ford had a difficult time finishing shots against Dustin Marteney of Delta. COLUMBUS - With a spot in the 138 pound championship match on the line, Ryan Ford faced Dustin Marteney of Delta (31-5) in the semifinal - a familiar foe who he has seen twice before in his career. 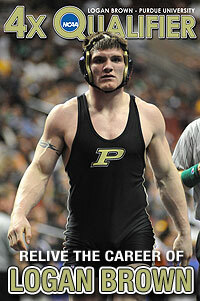 "I beat him at state my sophomore year (8-2) and he beat me at the Disney Duals, so we've wrestled before," Ford said. And both wrestlers knew what the other was going to do and it was a matter of who could work their own stuff. Unfortunately for Ford, Marteney was able to stop Ford's aggressive shots and eventually capitalized with a takedown of his own with 18 seconds left in the first period. Marteney then scored three back points on a tilt for a stunning 5-0 lead after one. "You can't give up five points in the last eighteen seconds of a period," said Ford. "It's hard to come back from that." Ford tried as he recorded a takedown of his one with two seconds left in the second period to close the gap to 6-2 after surrendering an escape point early in the frame. But Marteney locked up the match with three more back points on another tilt in the third period. "I knew he wanted to stop my shot and work the tilt," Ford explained. "I just didn't stop it." Barbee felt the final 18 seconds of the first period was the difference in the match. "The big thing was giving up the five points at the end of the first period," Barbee stated. "At this level, it's really hard to come back from that." Even with the defeat, Barbee feels his wrestler will come back even stronger tomorrow. "He's always been able to respond," he said. "This one may be a little harder, but Ryan will refocus and get back at it tomorrow." 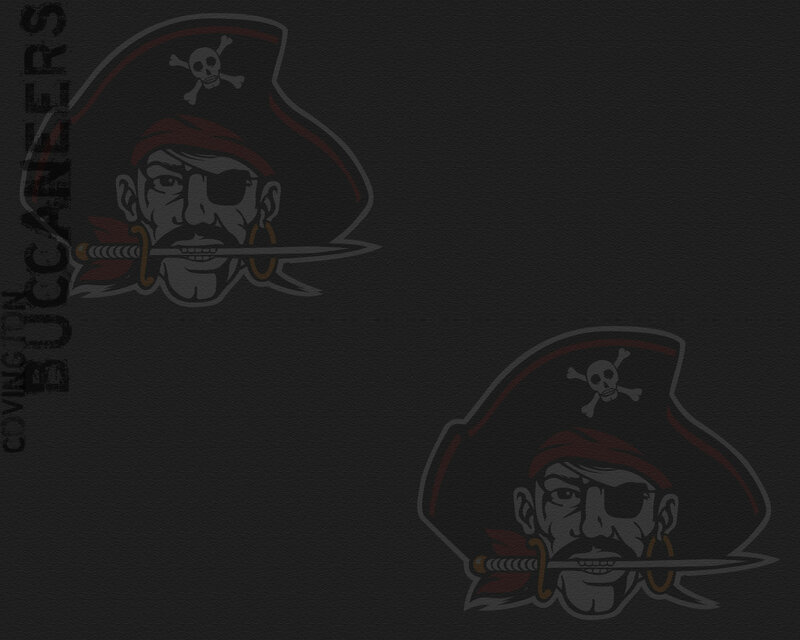 Wrestling resumes for Ford at 10:00am in the consolation semifinal. 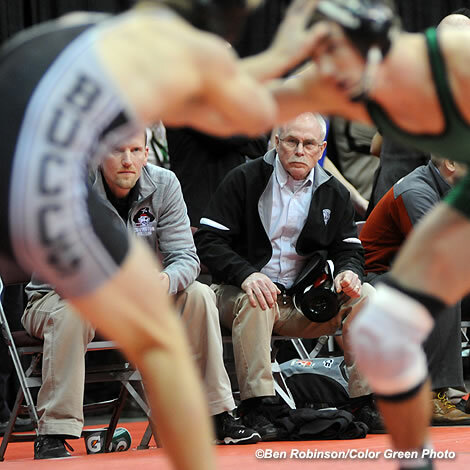 Coaches Tom Barbee (right) and Eric Vanderhorst (left) look on as Ryan Ford competes in the state semifinals in Columbus. Ryan Ford treis to escape the grasp of Dustin Marteney in the state tournament on Friday.